While I was in Montreal this past summer my cousin asked for a little help redecorating her room. She is one of three girls... a triplet to be exact, and she was the only one that hadn't decorated her own space. 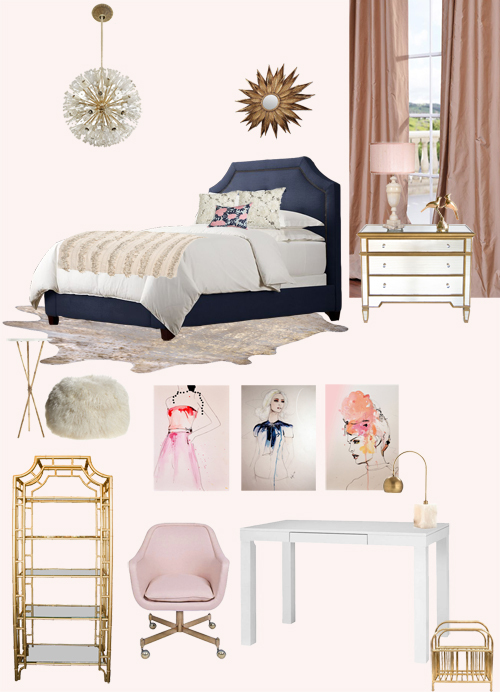 I quickly made a mood board and hit some amazing stores, vintage and new. This is what the final room looks like, while I don't have actual photos of the space yet, this gives a pretty accurate feel. It's super pretty, super femanine, and classically timeless, I'm sort of jealous of this dreamy bedroom.